This training resource was developed by Sam D. Meisler DVM initially as part of the training program for his My Pet's Animal Hospitals located in Florida and Tennessee. Dr. Meisler uses a variety of video technologies to train his team members for staff procedures and policies, medical knowledge and safety training. Using Macromedia's Flash and Windows Media technology, we have found a way to deliver training videos over the internet in real time. In addition, these videos were developed to encompass as wide an approach on practicing medicine as possible. For example, the Heartworm Disease module does not dictate yearly testing procedures or actual preventive medications used. The advantage of using web-based technology is that team members can access our learning modules from anywhere in the world with internet access; they can learn at home or at work. In addition, web-based education modules are easily updated without a practice having to purchase a CD-ROM or DVD upgrade every time new information emerges about a topic. And the first Veterinary Assistant Course I is free! Read Dr Meisler's blog here at DVMToday.com . Dr. Meisler graduated with honors from the University of Florida's College of Veterinary Medicine in 1991. He received his M.B.A. from the University of Florida in 2006. 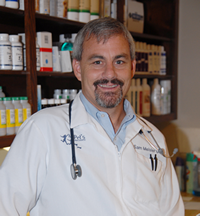 He currently owns two veterinary practices - one in Knoxville, TN and one in Alcoa, TN. Feel free to contact him at either hospital.